Geek Fallout: The Comic Book Episodes » Blog Archive » Ep #28: X-Men Movie Discussion, Part 2. Host Chris Lockhart is joined by Erik Johnson, MissM and Richard Rehder. We are discussing the remaining X-Men films left to be discussed: X-Men Origins Wolverine, X-Men First Class, The Wolverine and X-Men Days of Future Past. We also discuss the planned upcoming X-Films!! It’s X-citing!!! Brian Farrell leads the Geek Fallout crew in this all-new episode just before Christmas. Aside from discussing geek news they are discussing the Top 5 Families in pop culture. After taking part in this podcast & editing. After re-hearing everything I must warn you. This podcast kinda went off the crazy rails…. I’m not to sure what happen to cause this. But it was fun and found myself crying from laughing so hard. I really you all enjoy this one HAHAHA! 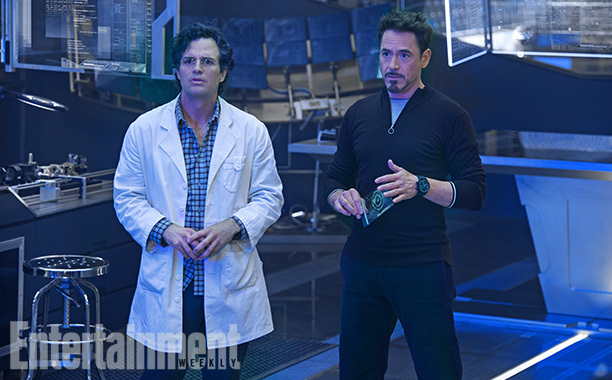 Official Photos From Avengers: Age of Ultron!! 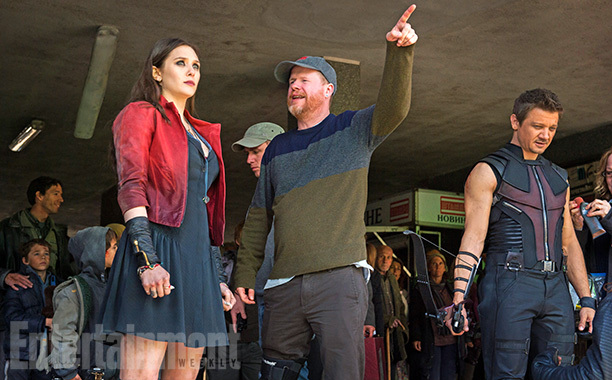 So just recently Entertainment Weekly just released photos from the NEW Avengers age of Ultron! I guess currently it is due to come out May 1st 2015, provided everything runs smoothly. They also released some behind-the-scenes footage as well. 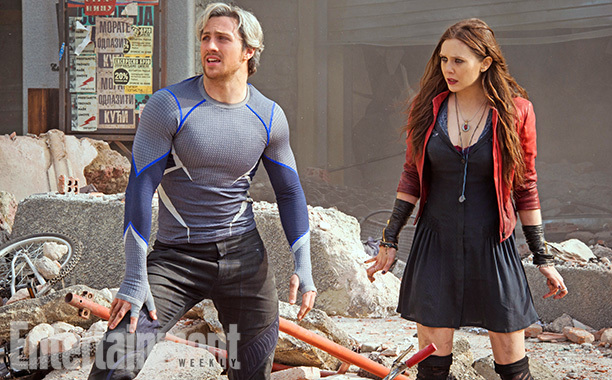 From the looks of things you have some pictures of the Scarlet Witch and Quicksilver. Also the rumor has it Avengers age of Ultron is going to have War Machine, as well as Antoine Triplett from the Agents of S.H.I.E.L.D show. 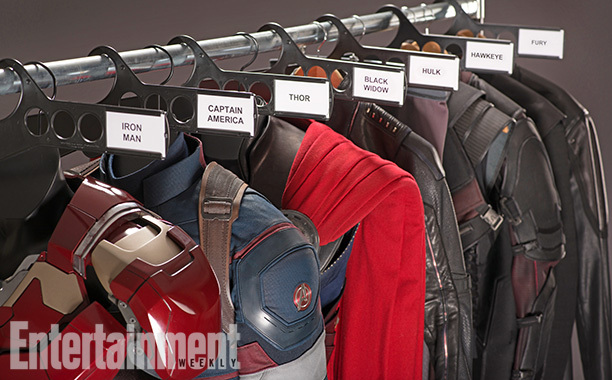 From the looks of things Peggy Carter is going to be in it is well. So what are your thoughts on this movie? 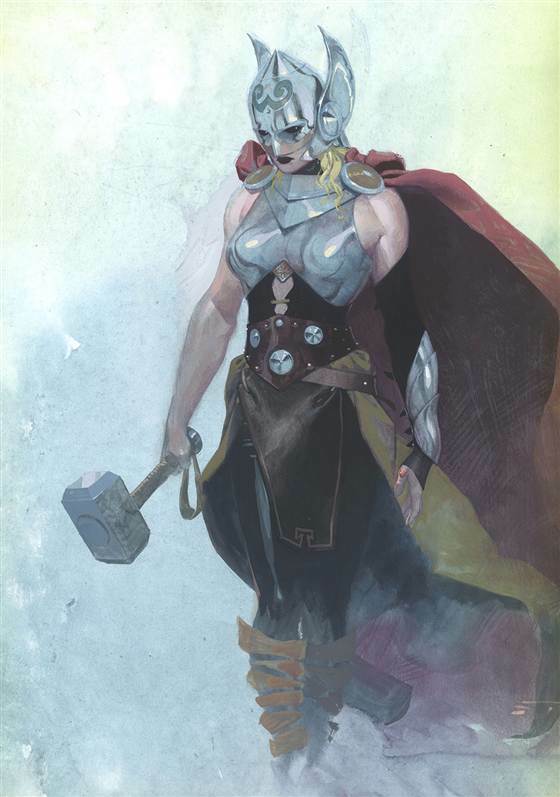 So I was going to jump on the whole female Thor conversion the other day when the news is released from Marvel. It seems like everyone is jumping on the bandwagon and I wanted to read through some of the articles get some other points of view. Also the fact I had a podcast come up/retake for The Incredible Hulk which you guys should check out. Now I don’t really have a problem with the whole gender swap. I mean did it with Wasp, Captain Marvel, even had a lady Deadpool, Batwoman, Lady Punisher at one point. I know there is a rumor going around that Marvel is going forward with the idea of making Dr Doom a woman. The only problem I have, is you have his character set in stone for decades and it seems like everybody wants to reboot or rehash something that has no problems. If it’s not broken don’t fix it. What I would like to see is for DC, Marvel, Image and Dark Horse to come up with some original characters. At first when I heard about them changing Thor I was a little annoyed, then the other half of me was kind of excited. That’s if they did it correctly and not make it so she is just going to be in a skimpy chainmail outfit running around with a big hammer. 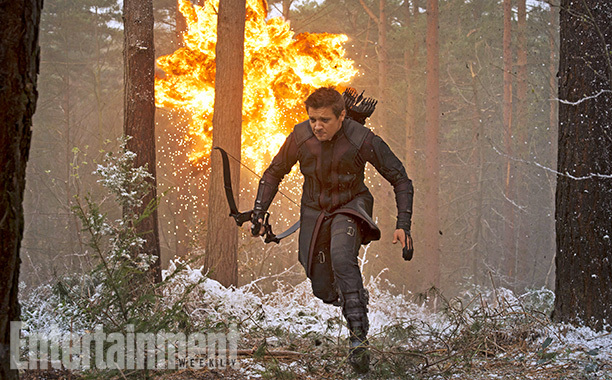 But looking at the pictures of the released, I’m actually excited. 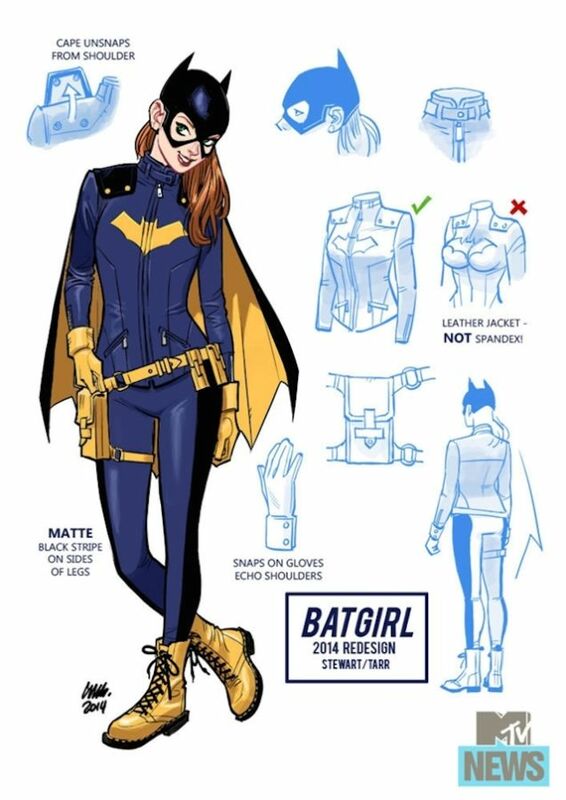 That it is an actually a functional costume, like the new outfit for the new Batgirl. Its all functional there’s a purpose for everything and not just tight spandex or some skimpy outfits. Cuz I been looking around for superheroes that are women so I can show them to my little girl. 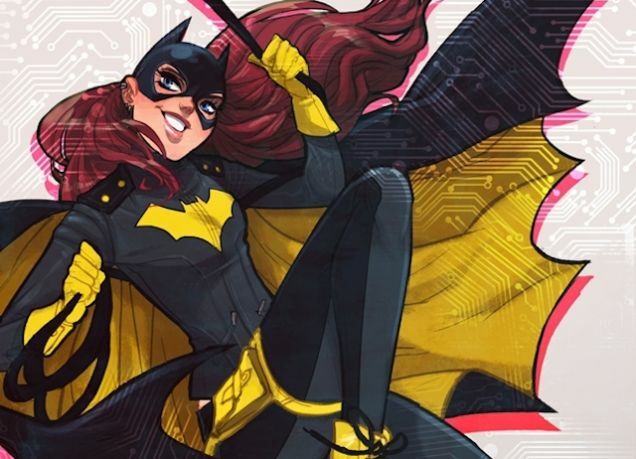 I mean you have your staples like: Supergirl, Batgirl, Wonder Woman, it’s just a little hard to find some strong female figures and stuff that she can relate to. Just to show not everything is guy dominated. She recently got into She-Hulk and really loves she her. But I think having Thor as a woman might open a lot more doors specially for the younger girls. The story plot for Thor interesting and I’m not sure how well it’s going to translate. Because from my understanding it seems like Thor has lost the ability to control the hammer and or has lost his powers. 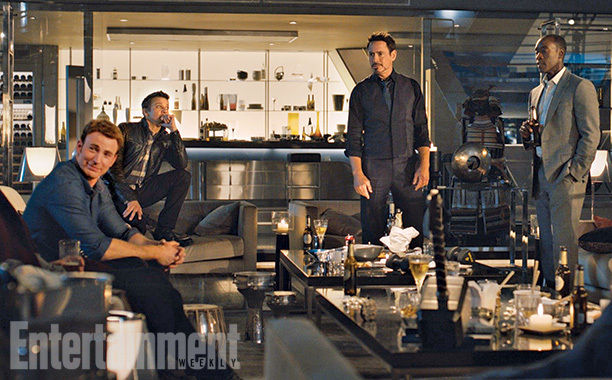 The female that is taking his place, I guess Thor had saved her at some point. 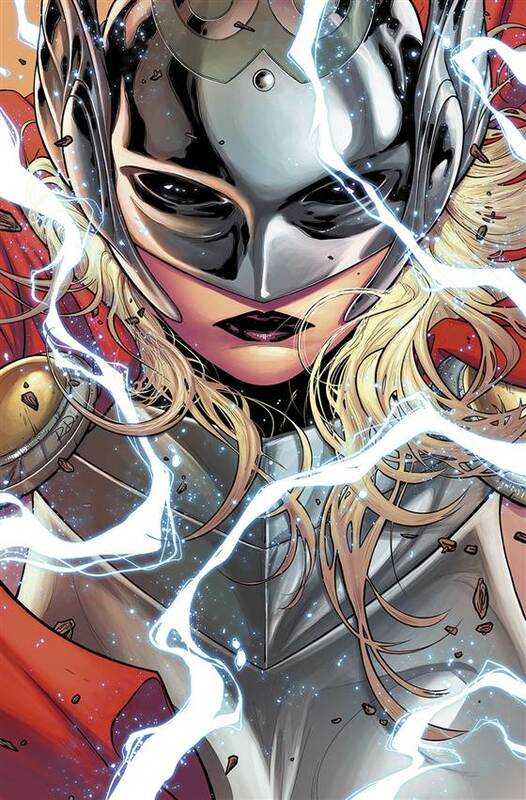 She later becomes obsessed with Thor, and surrounds her life with all things Thor. Somehow she gets the ability to control/wheeled Thor’s power and hammer. If this is true, because the internet is always full of rumors and it’s kind of a crap shoot on what is fact or what is fake. The story seems kind of a weak., But we won’t know for sure until comes out. But I for one will be picking this up and giving it a chance. I’ll also will definitely show my little girl this comic. I showed her pictures of it the other day and she’s really excited about it. I think in our next podcast we’ll be bringing this up as a news piece and probably have round table discussion. So I’ll be keeping you updated on that. So what are your guys’s thoughts on this? Do you think the comic companies should just come up with whole new characters rather than rebooting the old classic ones? Leave your thoughts and comments below and we’ll definitely respond to them. So early this morning I received a message or two from our podcast chat where we discussed about topics that we want to cover or news, even just normal everyday shenanigans. But the message that was brought up was about a comic book company called Rare Earth Comics. 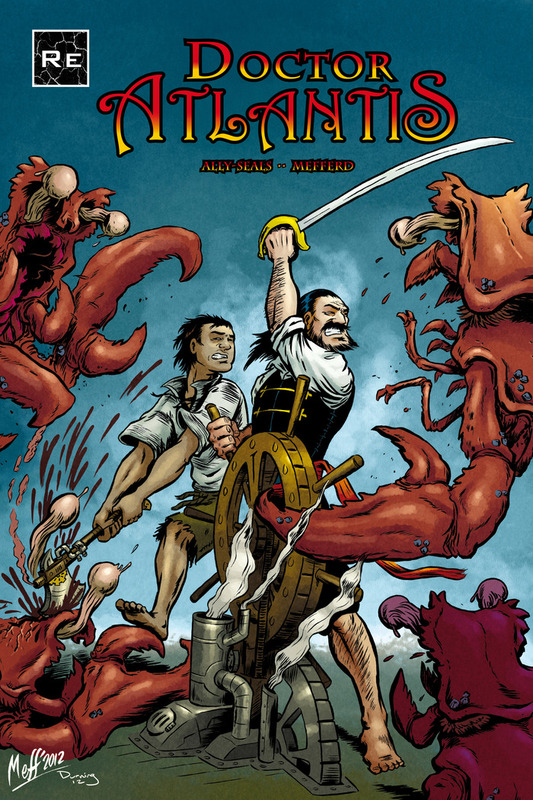 2 years ago they started the first volume of Doctor Atlantis with a Kickstarter and then they made a second volume. Now they have a new Kickstarter for Doctor Atlantis volume 3! So far for Doctor Atlantis I rather enjoy the look and a feel for the comic. Has swashbuckling, epic adventurers and the possibilities for new discoveries that are infused with Steampunk (which is really all up my alley). 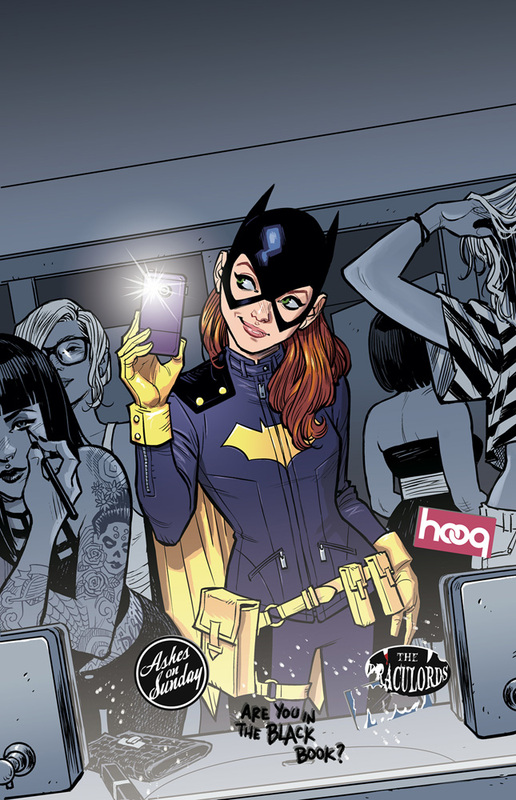 I personally can’t wait for this one to come out & I’m actually looking at the other two comics thinking about getting them. (and if you don’t know who Tintin is. The comic came out 1929 ran to the mid 70’s. Also if you are living under a rock and missed the movie that came out which was actually surprisingly good. I had my doubts about it at first, because I love the comics. But the movie was very well done, very cool, very classic. But that’s a different topic all together. Back to the main topic that is Doctor Atlantis. Sorry getting back on track now) and the other is The Adventures of Asterix. 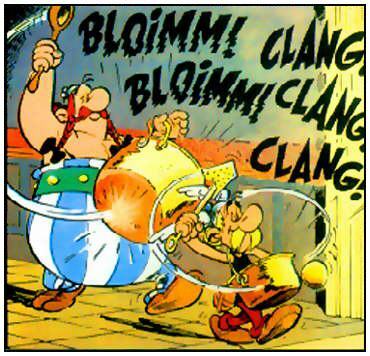 For those who don’t know who/what The Adventures of Asterix is… It’s an old French comic that came out, I believe 1959. I mean granted the art styles are completely different, Asterix is more cartoony. But Doctor Atlantis art work takes me back to The Adventures of Tintin. But those two comics are the ones came mind while looking at Doctor Atlantis. So I’ll definitely be checking it out! Looks like a fantastic story, well written and the artwork is phenomenal. They have their Kickstarter up and it looks like they reach their goal. But it looks like they’re still going. I’ll post a link to the website along with their main website. Also looks like they have a few other comics one of them called Shadow Tracers. Also they have 6 difference webcomics as well: The Adventure Team Alpha, Living Legend, Joy Riders, just to name a few. I highly recommend checking them out. They definitely have a “mom & pop” feel to them. Like a group of friends that came together for the love of comics, storytelling, art work and made their company. So I’ll be Co-Host for the Podcast over at Geek Fallout!! We’ll be going over comic news, an in depth discussion about comic books, characters or series. We will also do a “Pick or Pan”. Down below you can find the links to the website where you can listen to the show or download them to any device.